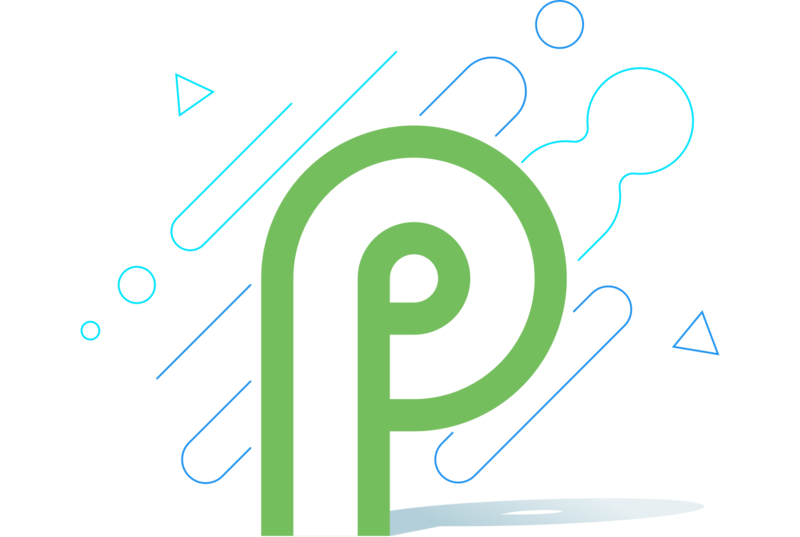 We expected Android P to land in mid-March, possibly as a whimsical reference to Pie day (3/14), but it turns out we don't have to wait this long. Android P is now official and as with years past, we're getting the first developer preview today with zero allusion as to what the full name might be. 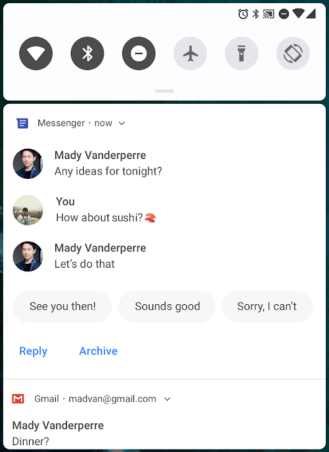 The image above could be a bit reminiscent of popsicles, but that's possibly Google just trolling everyone. Yes, the P developer preview images should land today and they'll be available along with the instructions here. No, there won't be an easy OTA beta to join, so you'll have to flash the image manually on your device. 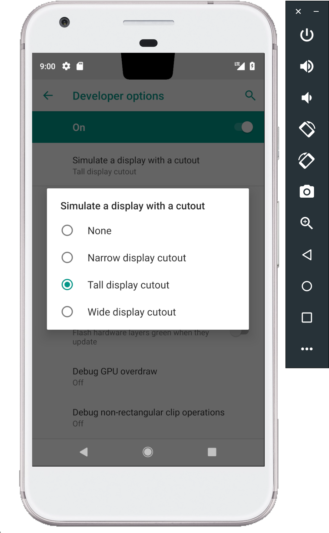 The devices supported are: Pixel, Pixel XL, Pixel 2, Pixel 2 XL, and obviously the Android Emulator. Handy links for developers: P Preview site, P Preview timeline, new features and APIs, API reference, API 28 support library, feedback, bug report. Display cutout support (aka notch support): like it or not, devices are launching now with a cutout in the display and Android P will make it easier for developers to optimize their apps' look to either force a fullscreen layout around the notch or keep the content separate from the status bar and notch. Multi-camera API: on devices with two or more cameras, developers can get streams from all of them simultaneously and call a logical or fused stream. 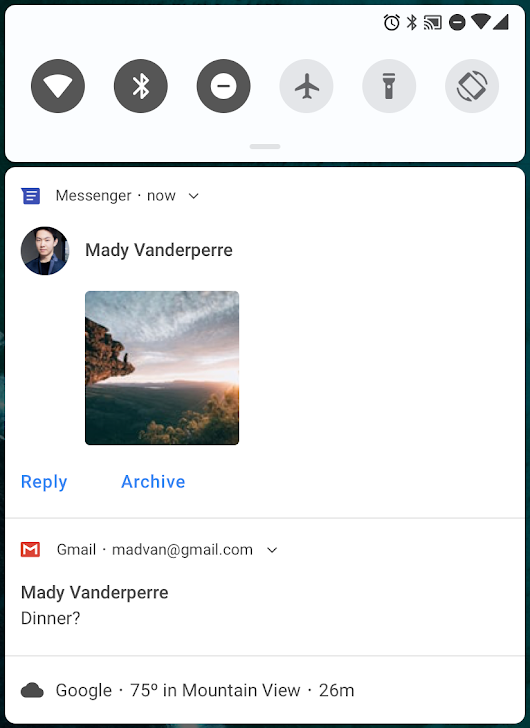 Better messaging notifications: in the notifications for messaging apps, developers can properly show images and stickers, display full conversations with contact names, and suggest smart replies (like the Reply app but natively). Indoor positioning: P is adding support for the IEEE 802.11mc WiFi protocol (WiFi RTT) which lets apps measure their distance to an access point and by using triangulation, it can deduct the indoor position up to one or two meters. Open Mobile API for NFC payments: apps will be able to access secure elements and enable smart card payments. Data cost and JobScheduler: using network status signals coming from the carriers, JobScheduler can check what an app's pending task is and manage it by defering large requests on a congested network or prefetching things when the network is unmetered. ImageDecoder: a replacement to BitmapFactory, it provides better decoding, scaling, post-processing, and support for animated images. And there are more from a new Neural Networks API 1.1 to HDR VP9 video support, HEIF image encoding, and improvements to autofill, fingerprint authentication, ART performance, Kotlin optimization, and power efficiency. We've known for a while that in November 2018, Google Play will require all app updates to target Android Oreo (API 26) and above. The P developer preview will get the wheels in motion by warning users each time they install an app that targets a platform earlier than Android 4.2 (level 17). With subsequent dev previews, this limit will be raised. Access to non-public APIs will be restricted gradually, as previously announced, so developers will have to migrate their apps to use a public equivalent or reach out to the Android developer team to request new APIs for their use case if they're not available yet. And as previously spotted, idle apps won't have access to the mic, camera, or sensors in the background. 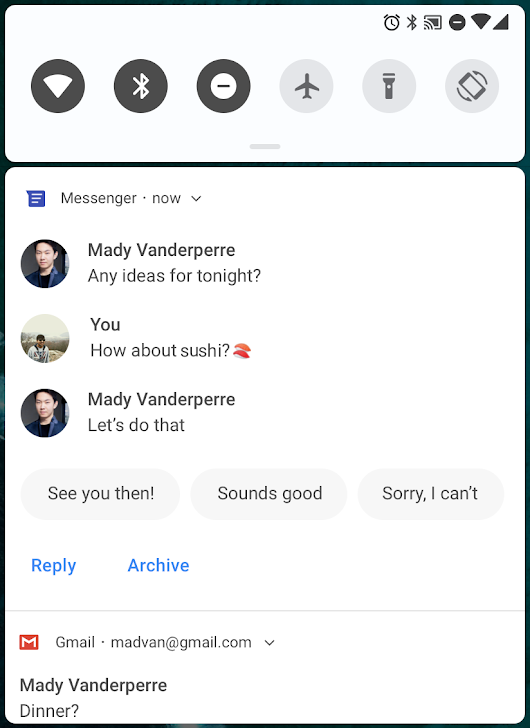 We'll have more detailed posts later to delve into each of these features so keep your eyes open for the next few days and don't forget to send us any tips if you spot something new in Android P after installing the developer preview.